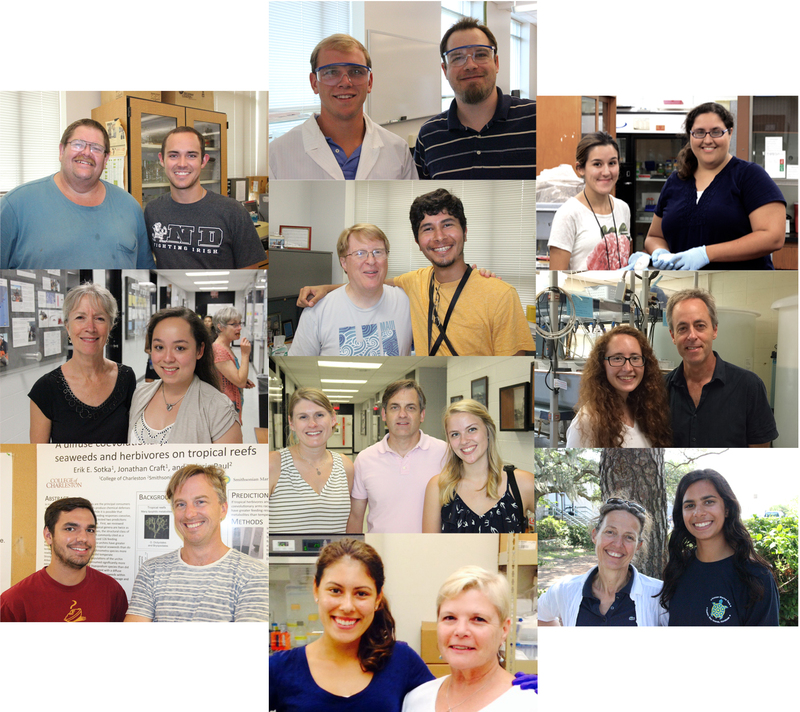 This blog provides a space for interns in our summer Research Experiences for Undergraduates (REU) program to communicate about their science. Our REU program is centered at the Grice Marine Lab, College of Charleston (CofC), and is funded by the National Science Foundation. In addition to 10 weeks of mentored research at CofC and our partner institutions at Fort Johnson, the program includes a Science Communication workshop series led by environmental writer and educator Carolyn Sotka, which guides interns in developing core messages about their research to communicate with diverse audiences. Interns will be posting updates about every two weeks with reflections about the process they are going through in completing their research projects. Enjoy and please leave comments! Supported by NSF Award No. DBI- 1757899 (2018-2020) and DBI-1359079 (2015-2017). Contributing partner institutions at Ft. Johnson: the Medical University of South Carolina (MUSC), the National Oceanographic and Atmospheric Administration (NOAA), the National Institute of Standards and Technology (NIST), the South Carolina Department of Natural Resources (SCDNR). 2017 interns and mentors (photo above, clockwise from lower left): Hailey Conrad (Rutgers University) and Dr. Bob Podolsky (CofC); Dr. Marie DeLorenzo (NOAA) and Deanna Hausman (U. of Texas at Austin); Dr. John Bowden (NIST) and Kady Palmer (Eckerd College); Dr. Demetri Syropoulos (MUSC) and Brian Wuertz (Warren Wilson College); Cecilia Bueno (Lewis & Clark College) and Dr. Allison Welch (CofC); Emily Spiegel (Bryn Mawr College) and Dr. Peter Lee (CofC); Mary Ann McBrayer (CofC) and Melanie Herrera (U. of Maryland College Park); Dr. Erik Sotka (CofC), Killian Campbell (Eastern Washington U.) and Ben Flanagan (CofC); Dr. Craig Plante (CofC), Christine Hart (Clemson U.) and Kristy Hill-Spanik (CofC); Meagan Currie (Swarthmore College) and Dr. Cheryl Woodley (NOAA). 2015 interns and mentors (photo above, clockwise from lower left): Aaron Baumgardner (U. of Akron) and Dr. Erik Sotka (CofC); Alessandra Jimenez (Whitworth University) and Dr. Karen Burnett (CofC); Dr. Peter Lee (CofC) and Bryce Penta (U. of Notre Dame); Jack McAlhany (Wofford College) and Dr. John Bowden (NIST); Theresa Cantu (MUSC) and Jimena Perez (U. of Puerto Rico); Kaelyn Lemon (Macalaster College) and Dr. Bob Podolsky (CofC); Dr. Isaure de Buron (CofC) and Sierra Duca (Goucher College)–not pictured, Dr. Eric McElroy (CofC); Nina Sarmiento (Binghamton University) and Dr. Cheryl Woodley (NOAA); Kristy Hill-Spanik (CofC), Dr. Craig Plante (CofC) and Jessie Lowry (Coker College); Dr. Hal May (MUSC) and Yoel Cortes (Georgia Institute of Technology).